Taur Matan Ruak was born on October 10, 1956, in the suco of Osuna Huna, administrative post of Baguia, Municipality of Baucau, Timor-Leste. On the 7th of December 1975, Indonesia invaded Timor-Leste and Taur Matan Ruak, then 19, joins the newly formed National Liberation Armed Forces of Timor-Leste (FALINTIL) in the mountains. Assumes responsibilities in the two eastern military sectors: center east and east. On May 12, 2018, the Majority Alliance for Progress (AMP) coalition won the early legislative elections and appointed Taur Matan Ruak to the post of Prime Minister. On June 22, 2018, Taur Matan Ruak takes office as Prime Minister of the VIII Constitutional Government. Taur Matan Ruak is married to Dr. Isabel da Costa Ferreira, a lawyer who worked in the area of ​​human rights and, among the various relevant functions, was Deputy Minister of Justice. He has two daughters, Lola and Tamarisa, and a son, Quesadhip. 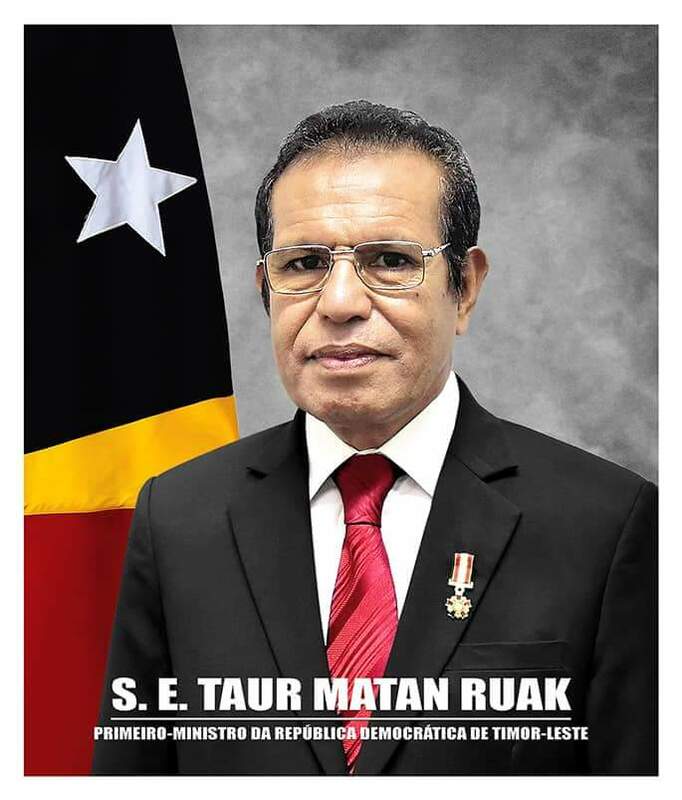 Taur Matan Ruak speaks three languages ​​of Timor-Leste (Tetum, Naueti and Makasae), Portuguese and English.